Top-ranked women’s bantamweight contenders Valentina Shevchenko and Julianna Pena collide for a spot in the crowded division title chase in the UFC on FOX 23 main event tomorrow night (Sat., Jan. 28, 2017), slated for Pepsi Center in Denver, Colo., in what will produce the next challenger for reigning division titleholder Amanda Nunes. 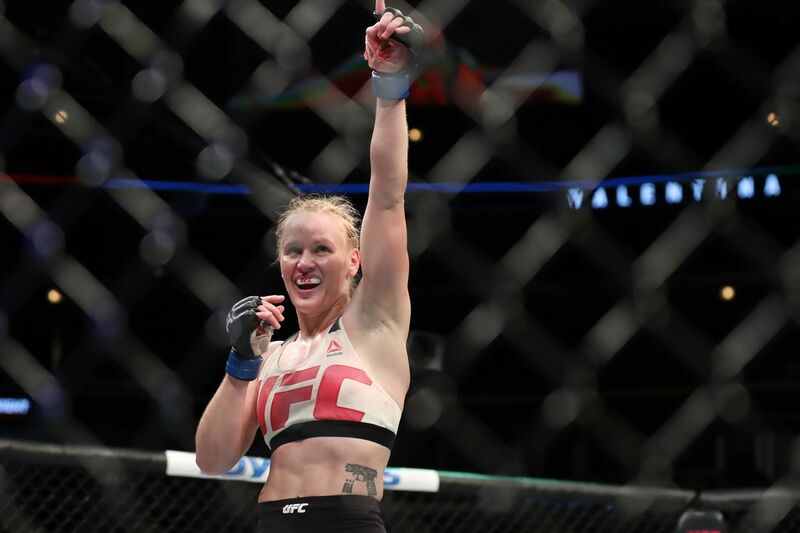 Shevchenko (13-2) rebounded from a unanimous decision loss to Amanda Nunes by blasting her way past ex-champion Holly Holm at UFC on FOX 20 back in July 2016. Pena (8-2), meanwhile, turned away former No. 1 contender Cat Zingano in a lopsided beatdown at UFC 200 to win her fourth straight. Check out their fight video preview above. MMAmania.com will deliver LIVE round-by-round, blow-by-blow coverage of the entire UFC on FOX 23 fight card TONIGHT (click here), starting with the UFC Fight Pass “Prelims” matches online, which are scheduled to begin at 4 p.m. ET, and then the remaining undercard balance on FOX Sports 1 at 5 p.m. ET, before the FOX main card start time at 8 p.m. ET. To see who else is fighting at tonight’s UFC on FOX 23 event click here.